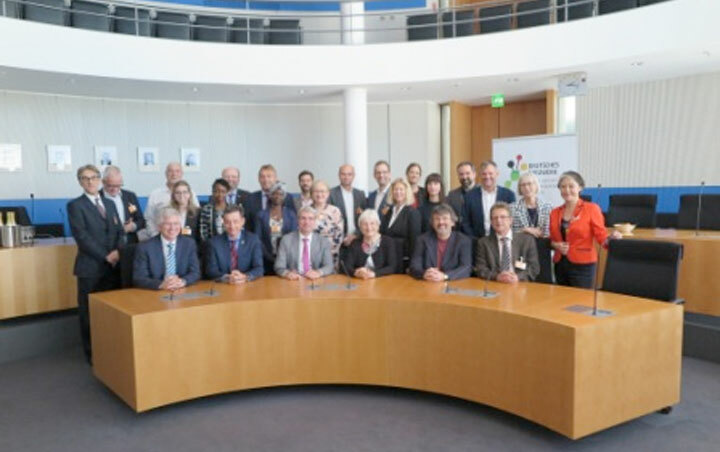 Berlin, June 21, 2018 – The chair of the German parliamentary advisory council against neglected tropical diseases, Dr. Georg Kippels, and an expert delegation from the German Network against Neglected Tropical Diseases DNTDs have visited the British Parliament. Dr. Kippels is a member of the German federal parliament and sits in the subcommittee for global health. 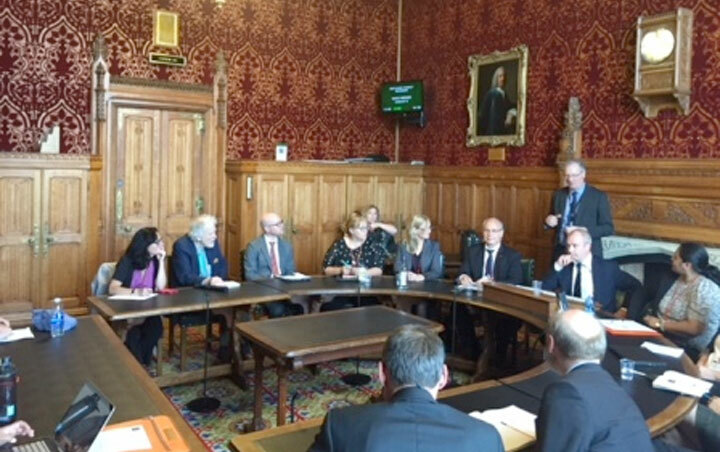 He was following an invitation by British parliamentarian Jeremy Lefroy, who presides over the All-Party Parliamentary Group on Malaria and Neglected Tropical Diseases APPMG. The guest of honor for this inter-parliamentary meet-up was Dr. Amir Aman, Ethiopia’s Minister of Health. He talked about the health policies his country had adopted and pointed out that Ethiopia’s case showed how progress could be achieved when national governments took charge of combating neglected tropical disease with the help of donors. Dr. Aman emphasized that combating neglected tropical diseases also meant a country had to strengthen its health system accordingly. All participants reaffirmed the necessity for cross-national cooperation and agreed to plan regular exchanges and joint activities to further the battle against neglected tropical diseases. Berlin. 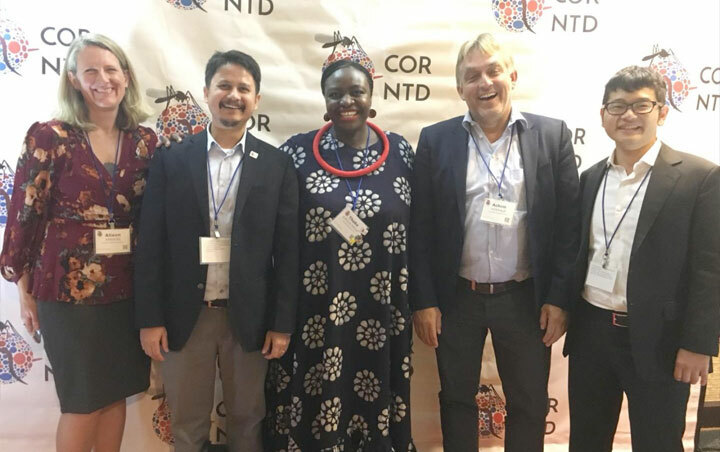 February 21, 2018 – Over 60 representatives from international organizations and networks combatting neglected tropical diseases, as well as members of the German and British parliaments met for a parliamentary breakfast. 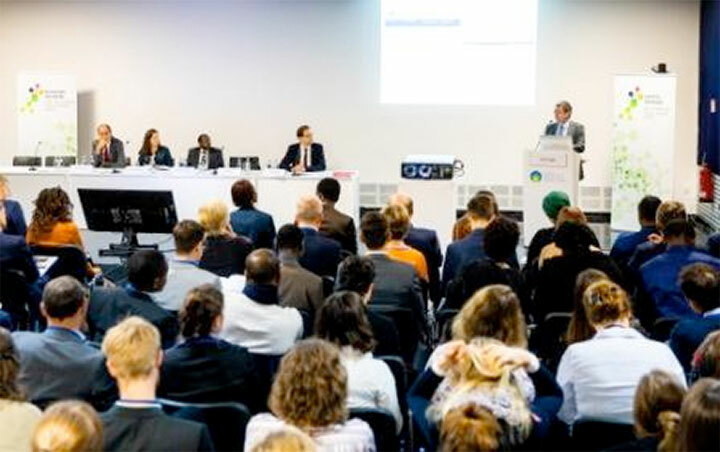 Sponsored by German delegate Dr. Georg Kippels MP, the attendees discussed the current status of, and the upcoming challenges facing the battle against neglected tropical diseases. Nigerian health expert Dr. Joseph Chukwu German of the Leprosy and Tuberculosis Relief Association DAHW described the challenges in Nigeria. He pointed out that many pharmaceutical companies already provided medication for neglected tropical diseases free of charge. But since medicines were not considered a service, there was more to be done in terms of their distribution. Jeremy Lefroy, member of the British parliament, explained the initiative by British representatives who joined forces across party lines to better support the fight against neglected tropical diseases. He invited his German colleagues to England for an exchange.